Essentially a version control system (or a revision control system) is software that has the ability to manage and track changes that occur to any document that is in a given project. In other words, you have the ability to take “snapshots” of your files during your current body of work, and you will be able to return to any of these snapshots whenever you wish. It provides a history of what you did, when you did it and what files you did it to. Do not think of these snapshots as backups because with a backup you have a separate copy of a file. With a version control system, this all happens seamlessly in the background using databases. The disk space used for keeping version information is minimal. The other advantage of a version control system is that you don’t have multiple backup files to manage. Git is a distributed revision control system, which just means that if you have multiple people in a project, they can work individually without being connected to a central network, and then they can just push to the project when they are ready. A key benefit of version control is being able to have several people working on the same document at once. You then will have the ability to merge these changes so that each member can work on the same file without fear that they are affecting each other’s work. Pretty cool, eh? Who Should Use a Version Control System? Anyone who works with files on a regular basis — whether it’s for developing a web app, building a static website, managing an open source project, or heck, even teams working on MS Office documents — should look at version control. Historically, version control systems have been associated with developers and programmers because they normally deal with source code files (which are essentially text files) and because they work in teams where different members may be dipping in and out of various files. Imagine having 5 developers working on the same project: managing 5 files would mean 20 more files to deal with. Most projects will have many, many files and even more developers– and as you can soon imagine, it can become quite a nightmare. Git is one of the many version control systems out there and whilst I haven’t tried every system under the sun, I have tried a few of the well-known ones and Git comes out on top. Git was created by Linus Torvalds (the founder of Linux) because he really didn’t like Concurrent Versions System (CVS), which, at the time, was the most popular version control system. Torvalds wanted something to help keep versions of the kernel he was working on and he figured that he would have to build a system of his own. Git is an open source project, and since Torvalds’ initial development, there have been many other primary authors and contributors to the project. Here’s an excellent video you should watch of Torvalds explaining Git in a Google Tech Talk. Git is super easy to install: I will take you through the installation process – it’s a breeze. Git is easier to learn compared to other systems: by the end of this guide, you will have enough knowledge to get going with Git. Git is fast: So much so that it doesn’t become one of those things you have to force yourself to remember to do and you can integrate it seamlessly with your current workflow. Git is decentralized: If many people are working on a project, they each can have their own copy and not save over each other. Git has a learning curve: Whilst I did say that it’s one of the easier version control systems to use, any new thing you introduce to your workflow will need some learning time. Learning Git will be similar to learning a new software application such as Word or Excel. 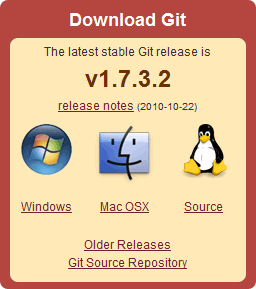 Git is available for Windows, Mac OS X and Linux. Installing it is surprisingly easy. You can of course get your hands on the source of the project itself, including nightly builds if you want to be a bit more adventurous, but I would just stick to stable releases for now. You simply download the dmg file, double-click on it and away you go. You can also use MacPorts, but the dmg file is a nicer experience and has more options. You have two options on Windows. The easiest and quickest way to install Git on Windows is to download the msysGit exe file from Google Project Hosting. msysGit is Git for Windows. Once installed, Git will be automatically compiled, which is nice. It also gives you GUI modifications, particularly, giving your right-click an additional contextual menu for Git operations. The second option is Git on Cywgin, which is the route I would recommend at first until you get familiarized with how Git works fundamentally. Cywgin is one of the handiest Windows tools you can download because it allows you to run a Linux-like environment in Windows. When you set up Cywgin, you will have an option to add Git to your system and then you’ll be ready to go. There are some RPMs and Debs available if you want to use your package manager to install Git for you, but installing from source is easy enough. Download the source package and make sure you have the following dependencies: expat, curl, zlib, and openssl. Once you have what you need, you can call your normal make/build commands. If you issue the command and you get nothing back, or you get some sort of error message, we can assume that Git wasn’t installed correctly. If this is the case, look over the Git documentation and go from there. Now, let’s start actually using Git. The first thing we will want to do is make a new Git repository. A repository is just the directory where Git will keep an eye on things for you. You can create repositories for each of your projects. 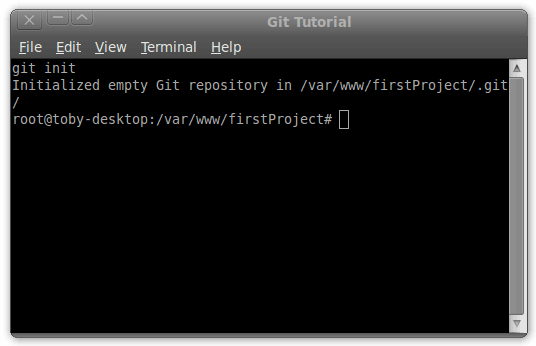 In the command line, browse to the directory you want to make into a Git repository. Better yet, create a new directory. Git will now be keeping a watchful eye on anything that happens in the directory we initiated. Of course, there is nothing in there to watch or do anything with yet. We can change that by adding something to the repository. Do that now by creating a small text file. 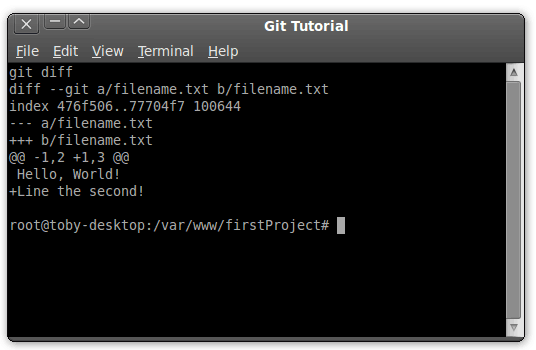 I called my file filename.txt and placed “Hello World!” inside it. Once you have created the text file in the directory, we need to tell Git to track it, which just means that it will monitor the file for changes. The Git add command is normally followed immediately by the Git commit command. When we commit something, we are saying that we want this to be a snapshot of our work. When we commit a file in Git, we need to give it a commit message. The commit message just explains what we are committing and why. Think of your commit message as sort of your notes on the particular snapshot of the file. git commit -a -m "This is my commit message!" The last bit within the quotes is your commit message. Let’s run both the add command and the commit command and then look at the output. Now that we have committed our text file, we can continue on our merry way. Let’s assume that the next thing we need to do is add a new line to our text file. So we change our text file and add a line or two, and then we grab some coffee. Coffee turns to lunch and by the time we get back to our workstation, we have forgotten what we just did. The diff command will tell you what has changed between an uncommitted file or the current file you’re working on versus the last commit you made. This tells us that filename.txt has changed and between a/ (the committed version of the file) and b/ (the most recent version of the file). The thing that has changed is that a new line has been added (and the line that was added says, “Line the second!”). The line saying “Hello, World!” hasn’t been touched, but Git has added the text near the edited line so that you have a bit of context. Once you have confirmed that all the changes you want to make in this commit are made, then we can commit it again using the commit command. Let’s say that we’ve committed our repository files and it’s time to go home. You get home, you have dinner, watch your TV shows, and now you’re headed to bed. Then you suddenly realize that your CSS stylesheet changes were terrible today and you know you wouldn’t get to sleep knowing you’ve committed some bad code. 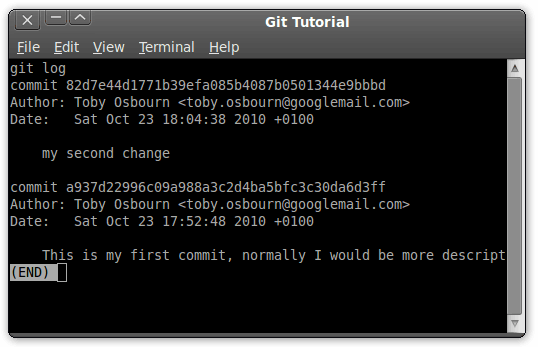 What you can do is to go back to your previous commit. The log command will give you the commit hash (the unique ID of your commit), the author of the commit, and the date/time it was committed. The most important bit of information for us in order to revert back is the commit hash. Copy the commit hash that you want to ignore. The revert command will bring up an editor which will allow you to change the commit message. You can just quit out of the editor if you don’t want to make any changes and your revert will be complete. You can confirm the success of your revert by opening up the file. The things you changed in the commit should be gone and you will be left with your original file. Now that you know the basics of using Git, you can begin exploring it more and figuring out the best workflow for your given style. 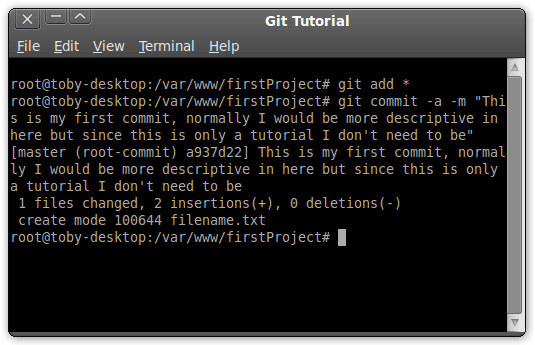 One important notion I want to say is that Git doesn’t have to be used in the command line. Learning how to use Git through the command line gives you great fundamental knowledge of how the system works, but after you know the basics, you may want to use some tools that can enhance your Git experience. Another benefit of mastering Git through the command line is that you will be able to use Git regardless of what operating system you are currently using. However, there are many tools available at your disposal to make Git easier. What we will discuss next is the Gitk repository browser, Git commands and tools you will likely be using regularly and a few external tools that can enhance Git. One tool that comes bundled with Git is Gitk. 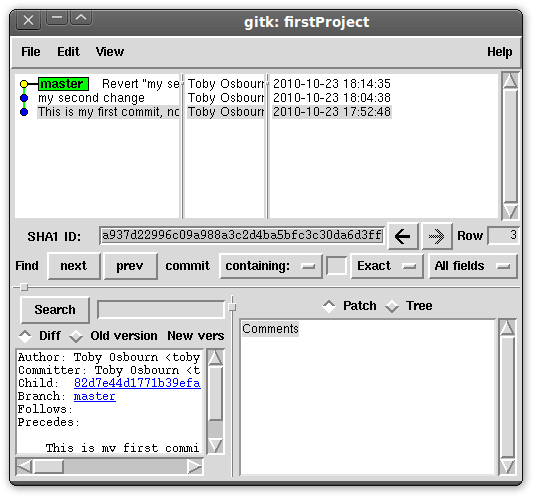 Gitk is a Git repository browser, and it is a GUI for your projects. Here are some Git commands I use daily. There are many Git features that I have never used before or have only used once (the system has a massive feature set). I have only scratched the surface of what version control, and Git in particular, can do for you and I would like to suggest that once you’re done with this guide, that you go out and play around with Git, as well as read up on the essential Git resources that I have mentioned above. 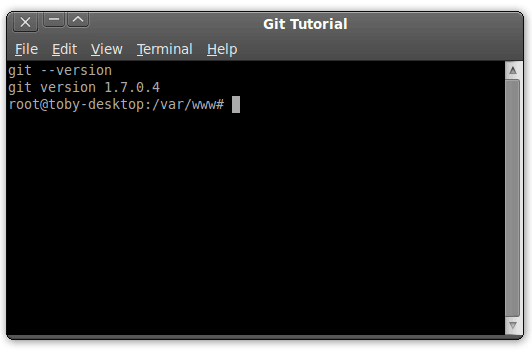 Take a look at some of the more advanced features of Git. Even though it might seem intimidating and a lot of work at first, using a version control system will really make your life a whole lot easier in the long run.